This past weekend GCP Mom Gwendolyn Adolph hosted the very first GCP live event. She gathered a wonderful group of moms and invited me to talk with them about some of the issues we focus on in the blog. One of the key things that came out of our discussion is how much parent groups can help moms (and dads) stay focused, confident and sane in their parenting choices. We at GCP have been in parent groups for over 10 years and found them invaluable as we faced a variety of issues with our children. Groups can be small (6-10 members) or larger (15-20). They work well when the people are compatible and comfortable with one another. But don’t try to gather all of your closet friends into a parent group. It is better to have a group of people come together expressly to talk about specific issues who won’t be so tempted by their familiarity to go off topic. An essential component of the group (however large or small) is confidentiality. In order for everyone to be comfortable enough to speak honestly and candidly everyone has to trust that what she is saying will stay in the room. This is critical. Other important rules: never ridicule someone’s actions or feelings, never embarrass or insult anyone. And laughter is key. We all have to be able to laugh at our mistakes while we get advice about how not to avoid making them in the future. There was plenty of laughter in the room last week as that great group of thoughtful and focused moms traded tales of raising boys. Hope that they will continue to gather and share. You can read more about parent groups in the original GCP post, found here. In anticipation of Super Bowl Sunday, GCP went on the hunt for inspirational quotes from some of the Super Bowl players. 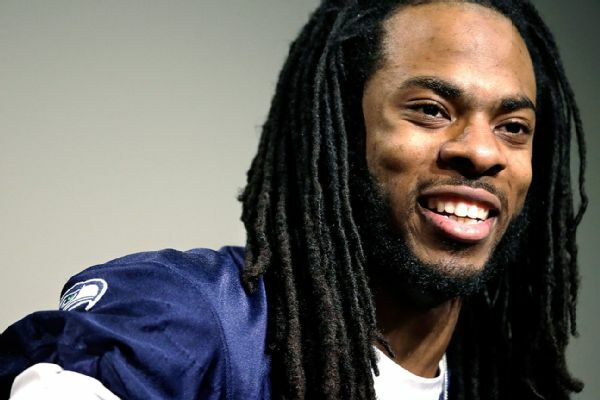 We found some great quotes from two Seattle Seahawks, Russell Wilson and Richard Sherman. Apologies to the Denver Broncos fans, but these two players have made more than their share of inspirational quotes recently. As we noted in a recent post, Wilson is the quarterback in his second season with the Seahawks (with quite an impressive family history). And for those of you who have been living under a rock for the past few weeks, Russell Sherman is the Seahawks cornerback whose post NFC championship comments made headlines and drew commentary (some positive, a lot more hateful) from around the world. Both players are bright and thoughtful young African American men. Here are a few of their more memorable quotes. I guess I’m an intense guy. I’m one of those guys that’s always in the moment and trying to be focused on what I need to do to be successful and how can I help other people be successful. At the same time I keep my poise though. I’m always relaxed inside. My mind is not overthinking, but at the same time it’s thinking about the right things. Am I intense? Over intense? I think I’m just the right amount, I think. The separation is in the preparation. The biggest thing is doing what I do best and that is working hard, every day I wake up and that’s my goal to be on a constant quest for knowledge and do something different, being unique and being uncommon. I’ve tried to do everything possible to prepare myself and prepare our football team to be great. I’d rather be called an underdog than top dog. With my dad passing away, he’s always watching me—a big smile on his face, watching every snap on the 50-yard line. Every game’s a championship game. When we focus that way, get prepared that way—that this is it, you know, this is the last one, the biggest one—you get ready, you get amped up, you get that laser focus and you’re ready to play. I have high expectations of myself. I always have, and I always will. That will never waver. Every game is a championship opportunity. Work hard. Listen to your teachers. And if you don’t understand a subject, and you want to go back and ask a teacher and wait until your classmates are gone or whatever, if you’re really having trouble with it, don’t be afraid to ask questions about things you don’t understand. I’ve had my fair share of controversial moments and backlash and critics, and I’ve learned not to take it personally. That’s the only way you can look at it. You have to accept it and not have a negative attitude. If I could pass a lesson on to the kids it would be this: Don’t attack anybody. I shouldn’t have attacked Michael Crabtree the way I did. You don’t have to put anybody else down to make yourself bigger. Running in to each other at full speed is not what God intended for our bodies. Everybody knows the NFL stands for Not For Long, so it plays into how you play and how you behave. We each handle it in our own way. You’ve got to appreciate every moment and treat it like it’s your last. While most of these quotes are about football, many apply to life in general as well. Throw a few of these at your sons (and daughters) while you are watching the game on Sunday evening. “American Promise” Airing on PBS on February 3: At long last, the acclaimed documentary “American Promise”, which chronicles the journey of two African-American boys from kindergarten through high school graduation, will be aired on PBS on Feburary 3rd at 10pm. Please check your local listings to find your PBS station and confirm what time it is airing in your town. Settle in to watch it next Monday, or be sure to record it so you can watch it at another time. This is a fascinating and compelling film which you should make an effort to see and which you will want to talk about with other parents. Intensive Small-Group Tutoring and Counseling Helps Struggling Students: An article in today’s New York Times highlights the impressive work being done in Chicago to help close the achievement gap in math that affects an alarming number of African American eighth grade boys. As described in the article found here, the University of Chicago Urban Education Lab provided a program of intense tutoring and group behavioral counseling to a group of low-income ninth and tenth-grade African-American boys with weak math skills and track records of absences or disciplinary problems. Tutors were assigned pairs of students and worked with them on concepts during their math class. The tutored students showed impressive progress. As the article noted “Those students learned in an eight-month period the equivalent of what the average American high school student learns in math over three years of school, as measured by standardized test scores, over and above what a similar group of students who did not receive the tutoring or counseling did.” These impressive results, which stem from an increased focus on individual needs, encourage educators to move away from the notion that if you don’t reach academically disadvantaged boys by an early age it is too late to help them catch up. Moreover, these results should encourage all parents to focus on how tutoring can help all of our sons identify academic weaknesses and strengthen them. While tutoring can be an expensive proposition, it need not always be, as there are organizations which offer reduced fee or free tutoring. Look for an upcoming GCP article on this subject. Saturday 2/1 1:30-4:30pm– “Me & My Grown-Ups Workshop” for students of color in grade K-4 and their parents at the Nightingale-Bamford School. Advance Registration required. You will find additional including workshop fees here. Wednesday 2/5 6-8pm– Race and Privilege: Anti Racist Parenting Group. A free monthly meeting for adults. Networking, discussion, guest speakers, workshop activities. Find more information and RSVP here. Monday 2/24 6-8pm– ISDN’s Annual Spring Forum for Parents and Educators at the Nightingale-Bamford School. This year will feature a discussion of “American Promise Revisited: What can we do about Black Male Student Achievement”? 17 Things Boys Need from their Moms: Finally, a sweet take on the special relationship between mothers and their sons can be found here. How many of these things do you give to your son on a regular basis? Comments Off on GCP Buzz: What’s Going On? 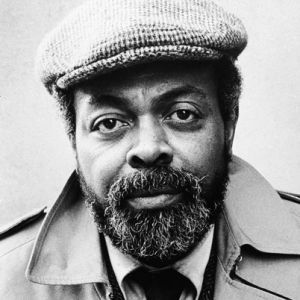 Today’s Thoughtful Thursday is dedicated to Amiri Baraka, the celebrated poet, writer, teacher and political activist who helped forge the Black Arts Movement of the 1960s and 1970s. Baraka died on Jan. 9, 2014 at the age of 79. Baraka was born Everett LeRoi Jones in 1934 in Newark, New Jersey. In 1968 he became a Muslim, changing his name to Imamu Amiri Baraka, which he later shortened to Amiri Baraka. He attended Rutgers University and Howard University (where in 1954 he earned his B.A. in English). He spent three years in the U.S. Air Force, and returned to New York City to attend Columbia University and the New School for Social Research. He published his first volume of poetry, Preface to a Twenty-Volume Suicide Note, in 1961. He was well known for his strident social criticism. Throughout most of his career his method in poetry, drama, fiction, and essays was calculated to shock and awaken audiences to the political concerns of Black Americans. For decades, Baraka was one of the most prominent voices in the world of American literature. Here are a few examples of Baraka’s poetry. You can read more extensive biographies of him here and here. Enjoy! Each time I go out to walk the dog. Things have come to that. And now, each night I count the stars. And each night I get the same number. I count the holes they leave. As everyone probably knows by now, the Seattle Seahawks will face the Denver Broncos in Super Bowl XLVII on February 2, 2014. And most of you football fans know that the Seahawks were led to victory yesterday by Russell Wilson, their young African-American quarterback. But what will likely come as news to many is the family legacy of excellence that Wilson is continuing and building upon. NY Times columnist Bill Rhoden tells the impressive story of Wilson’s family in an article found here. Russell Wilson is the son of the late Harrison Benjamin Wilson III (Harry), an attorney who died in 2010 at age 55 from complications of diabetes. Russell’s grandfather, Harrison Benjamin Wilson, Jr. was the men’s basketball coach and an assistant football coach at Jackson State in the 1950s, and went on to become president of Norfolk State. President Wilson had three sons, all of whom went to the New England prep school Wilbraham and then onto Dartmouth, where they played varsity football. Russell’s father Harry went on to University of Virginia law school and practiced law in Richmond Virginia, where Russell grew up. Ben Wilson, Harry’s brother, graduated from Harvard Law School and practises in Washington DC. As the NY Times article explains, Ben has stepped into his late brother’s shoes to encourage and support Russell’s professional development. While Russell was encouraged by his family to consider Dartmouth and recruited by Duke, his choice of North Carolina State allowed him to seriously pursue two college sports, football and baseball, and enabled his impressive football skills to be properly showcased. He was drafted by the Seahawks in the third round of the 2012 NFL draft, and won the starting quarterback position as a rookie. What is clear from this article as well as others about the Wilson family (found here and here) is that they’ve demonstrated a committment to excellence, both academic and athletic, which is now three generations strong. And it does not stop with Russell: his older brother Harrison IV also played football and baseball in college, at Richmond; sister Anna is a basketball star who verbally committed to Stanford as a high school sophomore. 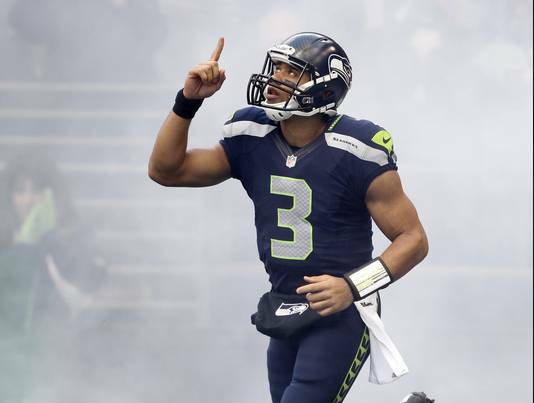 Russell has told his Seahawk teammates that when he was young his father encouraged him to consider and be ready for the possibilities which lie ahead, and would ask him “Why not you, Russ? Why not you?” What a great question to pose to our boys. So as you watch Super Bowl XLVII in a few weeks be sure to tell your sons about how Russell Wilson is carrying on an impressive family tradition of excellence. Whether you are a Seahawks or a Broncos fan, you’ve got to give him props for that. Happy Belated Birthday to Dr. King! While we as a nation will officially celebrate on Monday, let us not forget that January 15th was his actual birthday. In honor of his birthday, here are some of his many wise words. 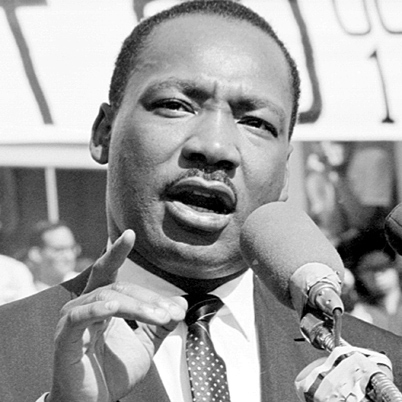 Let us all share some of Dr. King’s wisdom with our sons and daughters as we celebrate his life. Enjoy! As the new year begins, it is a great time to focus on being involved at your children’s school. Here at GCP we can’t say enough about the importance of parental involvement in schools. See, for example, our earlier posts “Back to School for Parents”, September 13, 2011 and “Parents Resolve to Get More Involved in 2012”, January 2, 2012. Being a visible presence at your son’s school benefits you and your son throughout the school year. But how to do this, given your crazily busy life? A recent Buzzfeed.com list suggests “18 Ways To Get Involved at your Kids’ School”, many of which can be helpful even for the busiest parent. Find this thoughtful list here. Baby, it has been very cold outside for much of the U.S. this week. So on this Thoughtful Thursday we were inspired to look for poems about the chill of winter. Along the way we found a beautiful poem by Robert Hayden, “Those Winter Sundays”. While its title and some of its vibrant imagery evoke winter’s chill, at the core of the poem is a son acknowledging his admiration and love for his father. A perfect poem for GCP readers. 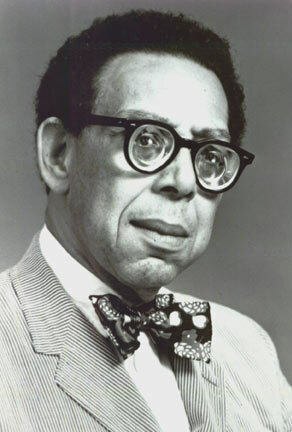 Born in 1913, Robert Hayden grew up in an impoverished African-American section of Detroit and was adopted by a neighbor at the age of two when his mother could no longer afford to keep him. His adoptive family nurtured Hayden’s early literary interests, and as a teenager, he avidly read the poetry of the Harlem Renaissance as well as traditional poets like Edna St. Vincent Millay and Carl Sandburg. While in college Hayden studied with the English poet W.H. Auden. He spent his career writing poetry (for which he won many awards) and teaching, first at the University of Michigan, then at Fisk University for twenty-three years, then returning to Michigan in 1969 to complete his teaching career. In 1976 Hayden was the first African-American to serve as Consultant in Poetry to the Library of Congress, the post now called U.S. Poet Laureate. He died in 1980. “Those Winter Sundays” is considered his most famous poem. Enjoy. Happy New Year! In this our third year of operation, we are going to mix it up a bit. In addition to posting longer one subject articles chock full of info, GCP will be doing quick posts of interesting bits–news items, parenting things to think about, etc.–on a more regular basis. The goal is to post more regularly, and post more info. So stay tuned. Black Male Student Athletes and the 2014 Bowl Championship Series: Just ran across this really interesting piece (thanks to GCP Dad Roy Johnson) in which Shaun Harper of UPenn’s Center for the Study of Race and Equity in Education examines the graduation rates for the black college football players in the recent bowl championship series. Hate to bum out all of you guys celebrating FSU’s impressive win last night, but the school has a pretty dismal graduation rate for its Black football players. You can find the report here. Most of these college players don’t make the NFL, and leaving college after four or five years with no degree really limits their options. It is a travesty that more attention is not paid to this issue, and kudos to Harper and his Center for focusing on this in a timely fashion. With all the crazy money these schools make on these bowl games, why don’t they just give these guys a free pass to stay in school as long as it takes them to graduate?